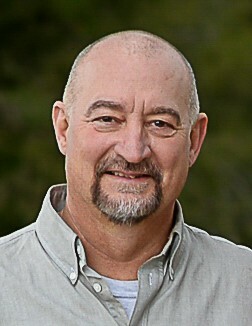 Michael Wayne “Harpo” Harper, age 57, resident of Oakland, Tennessee and husband of Tammi Bateman Harper, departed this life at 3 A.M. on Tuesday, January 15, 2019 at Baptist Reynolds Hospice House in Collierville. A Funeral Service for Mr. Harper was held at 1 P.M. Saturday, January 19, 2019 at Fayette Baptist Church in Somerville with Dr. Steve Harper, Mr. Harper’s brother, officiating. Personal remarks were given by Pastor Drew Murphy and Marc Gross. Interment will follow in the Fayette County Memorial Park Cemetery on Highway 64. Arrangements were provided by Peebles Fayette County Funeral Homes & Cremation Center – West Chapel at Oakland. Michael was born July 30, 1961 in Atlanta, Georgia, the son of Shirley Whitfield Harper Jackson and the late John Wesley Harper. He was a graduate of North Clayton High School in College Park, Georgia and attended Clayton State University in Morrow, Georgia. He was married October 16, 1993 to the former Tammi Bateman and they had been residents of the Oakland area for many years. Michael was employed as the sales manager for Barnhart Crane & Rigging Company in Memphis and was a member of Fayette Baptist Church in Somerville. “Harpo” was an avid sports fan who loved bowling, playing ping-pong, pool and a traveling industrial softball league. He was a Georgia Bulldog fan and was the winner of his Georgia Fantasy Football League twice. He was an all-around athlete and while golfing on the Fair Oaks Golf Course in Oakland, he hit his first hole-in-one on hole number 3 one month after being diagnosed with pancreatic cancer. More than anything, Michael loved the special times he had with his family members and friends. Mr. Harper is survived by his wife of 25 years, Tammi Bateman Harper of Oakland, TN; two daughters, Lindsay Harper of Sandy Springs, GA, Katie Fields of Oakland, TN; two sons, Michael Bryan Harper (Heather) of Collierville, TN, Bryce Harper of Oakland, TN; his mother, Shirley Jackson (Dan) of Newnan, GA; his sister, Patricia Gail Harper of Clermont, FL; his brother, Steve Eugene Harper (Janet) of Sharpsburg, GA; two grandchildren, Addison Harper, Tyson Harper; and a host of nieces, nephews and many friends. Those honored to serve as pallbearers were Tommy Cochran, Donnie Thweatt, Ronnie Thweatt, Dave Crockett, Stephen Wilson, Jerry Foucher, Justin Lundy and Marc Gross. Honorary pallbearers were members of the Georgia Fantasy Football League. The family requests that memorials be directed to the Pancreatic Cancer Action Network, 1500 Rosecrans Avenue, Suite 200, Manhattan Beach, CA 90266.